A simple “zero money up-front” model to allow people to improve the energy rating of their home, has been launched today by the Solution Centre, a collaboration of credit unions that supply product development and business supports to Ireland’s Credit Union sector. 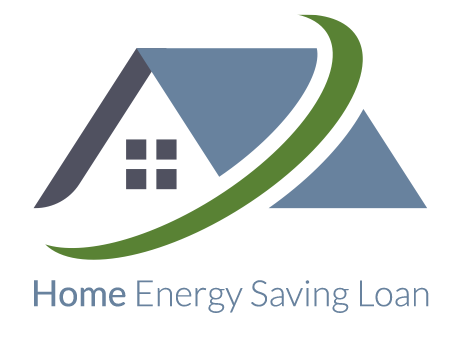 The Scheme makes it easy to access SEAI grant funding of 35% towards the cost of approved energy upgrades to an applicant’s home, with easy to access low cost finance for the balance of the costs being provided by participating credit unions. REIL take on the role of programme co-ordinators and are responsible for the procurement and completion of all works, while SEAI is providing a 35% grant for work completed and the rest of the funding can be received from the participating Credit Union at a discounted rate. “We expect uptake to be huge. We have already rolled out a pilot scheme in Dublin in 2017 which was a great success. The approved energy upgrades are wide-ranging and include attic insulation, cavity insulation, solar thermal panels (hot water), internal drylining insulation, windows upgrades, external wall insulation, windows & doors upgrades, gas or oil boiler upgrades with heating controls, air source heat pump, heating controls and solid fuel stoves. Once survey is complete, the Applicant is issued with a report and given 30 days to decide on whether they wish to proceed or not. If they decide to proceed, the Applicant picks what upgrades they wish to complete. Once the cost of works less the grant has been identified, a loan application is submitted to the Credit Union for this amount. Once loan approval is given, REIL will proceed to arrange procurement of contractors to complete the works. Once works are complete, REIL inspect all works to ensure they are up to SEAI standards. Once all work is approved a Post-BER assessment takes place and the loan is advanced to cover the cost of works. Once payment is received, REIL issue client with a receipt of payment. That’s it! A group of the country’s strongest credit unions established the Solution Centre, a FinTech facilitated by CUDA, which supplies product development and business supports to the Credit Union sector and has embarked on an ambitious business transformation programme for the sector, of which mortgages is just one milestone. Rather than simply replicating the actions of banks, the Solution Centre believes that credit unions have the flexibility and adaptability to quickly adopt new ways of doing business that will see an expansion of their market share. Credit Unions participating in our digital loan marketing programme have seen loan growth of 10-20% in a relatively short space of time, with minimal investment. It’s clear the movement’s leading credit unions have embarked on a transformative digital journey with a huge uptake in credit union loans by young people who are attracted by the use of new technology and prefer the credit union ethos to other financial service providers. CUDA, the Credit Union Development Association, was legally incorporated in 2003. In its early days it was the representative voice, on behalf of its owner member credit unions, with legislators and regulators. It has since evolved and now, as well as providing a ‘voice’, it is increasingly providing support facilities in the areas of regulatory compliance, risk management, shared services and skills development.